*Select options below to view MORE listings, and find the best art workshops for you. Not Just in the Mountains, We Workshop in Gorgeous Cities, on Cruise Ships and Abroad! Loosen-up in a fun and inspiring watercolor workshop with Janet Rogers, AWS, located at the Historical La Fonda Hotel in the heart of Santa Fe, NM. Janet shares her passion and joy for the fluid unexpected nature of watercolor, featuring flowers, people and portraits. Her sensitive paintings are spontaneous, intuitive and expressive, demonstrated in her signature loose wet-into wet style. Discover unique color combinations with flowing color for interpreting flowers and painting flesh tones. Find your connection with watercolor in new and expressive ways. Offered to all levels of watercolor ability. Smaller class size offers opportunity for individual help in an intimate and personal learning experience. Cost: $650. Sponsor: Art Workshops of Santa Fe. Year round - This is an opportunity to enjoy a 5-day plein-air intensive urban watercolor workshop in the heart of Barcelona. Professional artist Paul Raymonde and his wife Angela run this unusual city based painting course in one of Europe's most beautiful metropolis'. The week's curriculum is carefully structured to cover all aspects of technique. Starting with simple value studies it rapidly progresses to full colour paintings. Classes are held in the mornings leaving visitors time to explore the sights and culture of Barcelona. All materials are supplied and a picnic lunch with wine (if desired). All abilities are welcome. Visit the website for details. Join award winning artist, Chris Brandley, for 3 exciting days of painting in sunny Florida! This workshop is filling quickly, so don't delay! Learn how to take an ordinary photograph, and use artistic license to paint from the heart by infusing clean, vivid color, loose brush strokes, and beautiful lighting. This workshop is open to artists who use oils, acrylics, or water-soluble oils. Dates: April 26-28, 2019. All levels welcome, beginner to advanced! *Also, coming in June 2020: "Escape to the Castle" Artist Retreat in Southwest France! Join Judy Mudd in beautiful Berea, KY in this 4-day workshop where students will learn how to add a variety of atmospheres to city, land and seascape scenes painted in watercolor. The workshop will focus on developing a vision, simplifying and expanding the various parts of a scene, and learning watercolor techniques used to create mood including color choices, values and edges. Judy's relaxed follow-the-leader teaching style assists experienced beginners to advanced students further develop their skill in the watercolor process. Each day will include discussion of the approach, painting demonstrations, and individual student attention. Madeline Island School of the Arts (MISA) is ranked among the top five art and craft schools in the country. The school is located on Madeline Island, the largest of the 22 Apostle Islands in Lake Superior. Board the car ferry in our charming port town of Bayfield, WI and in twenty minutes you'll slip into Island time. MISA's workshop environment is recognized for its world renowned instructors, spacious studios, superior on-site accommodations, and a staff that will ensure an unforgettable experience. Our fabulous meals and dining facilities provide an additional opportunity to bond with students and instructors. Classes in photography, painting, writing, quilting, fiber arts and mixed media are available June -October. View our workshop schedule at www.madelineschool.com, email misa@madelineschool.com, or call 715.747.2054. Intro to urban sketching in Mexico. Offered to groups visiting San Miguel de Allende and / or Guanajuato GTO, some of UNESCO's Intangible Cultural Heritage jewels. Per request 1, 2 or 3 days of sketching. Learning to sketch will enhance your travel anywhere and change the way you "See" the World! Days 2 and 3 add a touch of magic with watercolor and color pencils. Absorb the details and hidden corners of those Colonial gems, perceiving your surroundings through the eye and perspective of an artist. Workshop includes, besides expert instruction from professional painters, guided walk, photo opportunities and lunch. Contact Cristi Fer Art Gallery and Workshops in advance with your travel schedule to book an unforgettable urban sketching workshop! Named in 2008 by National Geographic as one of the world's 'Best Girlfriends Getaways'! The secret is out: artbreak is a one-of-a-kind learning vacation and totally new way to experience a great European capital - via its artistic heart. artbreak puts you in intimate contact with Prague's vibrant artistic community, morning to night, for six creativity-filled days. Your mornings: three hours in an atelier, honing your skills at painting, collage and ceramics. Afterwards you'll browse private galleries and major museums, then fit in some wine tasting and dinner before heading out to savor the absolute best of Prague's opera, theatre, ballet, and superlative jazz scene. artbreak is a chance to inspire your artistic self and an exquisitely choreographed cultural adventure. Visit www.artbreak.org to learn more. Experience the joy of Plein Air painting on the beautiful Amalfi Coast. On-site painting can be a wonderful way to slow down the frantic pace of travel and drink in the beauty of each spot. Combined with classroom activities and tutorials that highlight the expressive potential of color, technique, and composition, participants will be fully prepared to capture the landscape, architecture, and sense of light intrinsic to this place. Gouache, with its velvety richness, combines the flexibility and opacity of oil or acrylic with the portability and easy cleanup of watercolor. It's the ideal media for travel; however artists with sufficient experience with oil or acrylic may use those media if they desire. June 8-14, 2019. For beginner/ intermediate level painters. Class size limited to 12 participants. Workshop Goal: To nurture observational skills and use of the watercolor medium in a joyful process of self- expression. Tuition: $550. Deposit: $275 due by Feb 1, 2019. Final payment: $275 due by April 1, 2019. Accommodations: make reservations at The Island Inn (www.islandinnmonhegan.com) by calling 207-596-0371. Making room reservations at The Island Inn is the responsibility of each participant. A block of rooms of various types and pricing will be available at a 15% discount off low season rates on a first come, first serve basis. The room rate includes a full breakfast. 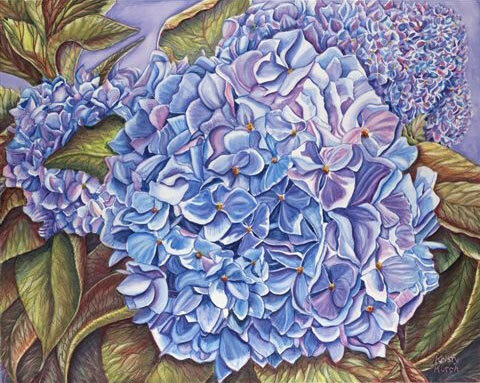 Kristy Kutch has been creating colored pencil art for almost thirty years and has been teaching colored pencil workshops since 1991. A teacher with a life license, she applies many basic learning principles to her workshops, enthusiastically meeting each student at the appropriate level. Beginners are always welcome, but even advanced artists benefit from Kristy's instruction. Offering demonstrations of techniques and the characteristics of different types of colored pencils, papers, and other related materials, Kristy covers a wide range of possibilities. Kristy is the author of Drawing and Painting with Colored Pencil and The New Colored Pencil. She is also the feature artist in the Artist Palette Productions DVD "Colored Pencil Landscapes: Beyond The Basics". Kristy's workshops are held nationwide; each is an enjoyable, supportive, memorable experience in a beautiful location. Visit www.artshow.com/kutch/ or contact Kristy at kakutch@earthlink.net or 219-874-4688. The Amalfi coast's breathtaking landscapes are renowned. We can find images of beautiful cliffs, lemon groves, and sparkling water. But how do you travel to such a location and take pictures that move beyond typical tourist images? In this course students will be encouraged to express their own unique vision of this artist's haven through their photography. This course is open to beginning photographers as well as the more advanced photographer. Students will be photographing daily. There will be field trips, critiques and one-on-one meetings with the professor. During the course we will discuss techniques of how to approach a new locale, overcome your hesitations, analyze your response to the new experience and photograph it depicting your point of view. "From Sketchbook to Studio - Painting Light in Watercolor"
Iain Steward's focus is bringing your creativity to light and dispelling the myths of the difficulties of watercolor painting. Through demonstrations and critique Iain helps you understand how to anticipate the challenges of watercolor. Guiding you through his process of simplification through sketching and value studies, Iain demonstrates a road map that will improve your painting. He provides you with a repeatable process involving carefully planned steps that you can use when painting any subject. Iain allows as much time as possible for one on one instruction and critique; a workshop should focus on the student and not how well the instructor can paint. It's about you and your experience and helping you to continue your artistic journey. June 25 - July 5, 2019: Experience the art and soul of Assisi, with this 11 day retreat, based in the heart of the medieval town with B&B Guesthouse accommodation. The course offers a unique combination of tuition in medieval panel painting techniques with art history and visits to major sites. Ideal for beginners and improvers, participants will use gold leaf and traditional egg tempera to produce their own icon on a gessoed panel. All materials are included and the small group size (8 max) ensures a high level of guidance. This retreat will be led by experienced tutor, Helen McIldowie-Jenkins, M.A., O.F.S. a professional icon painter based in London, UK, with a background in Late Medieval Italian art history. The Shenandoah Art Destination is a 10-acre property, magnificently located near the historic town of Lexington, nestled in the beautiful Shenandoah Valley between the Allegheny and Blue Ridge mountains. It offers an ideal creative vacation and inspiration for any art lover - all artists welcome from the beginner to the professional painter for watercolor, oil and acrylics, pastels; lino and woodcuts; drypoint and mono printing. Daily course guidance/tutelage by your host, Jan-Willem Boer, an established artist in the USA and Europe. Courses run from early spring to late autumn - choice of weekend, 4-day, 6-day or 10-day stay. The fee is all-inclusive - lodging, food, and art instruction/tutelage. Airport/train transport available. Limited to 8 participants + non-artist partner/spouse welcome. For course schedule & cost: www.ShenandoahArtDestination.com or call 612-221-1140 or contact nancy@shenandoahartdestination.com. This nine-day course is open to beginners, ceramic aficionados, art students, and guests alike. 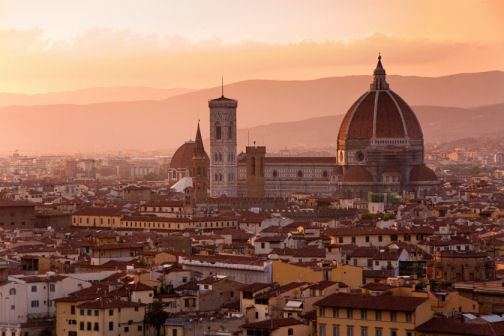 We will travel to numerous historic and contemporary sites to gather inspiration from the landscape, the architecture, and the rich tradition of Italian maiolica tile and mosaic surface decorations found throughout the region. In the studio component, we will begin with watercolor studies of tile patterns, still life arrangements, and photographs we have taken on excursions throughout the region. Several ideas and compositions will be first resolved in watercolor, then we will translate these studies into maiolica glaze paintings. Soon teaches how to paint a brilliant Still Life. You will receive a drawing to copy and mask. Soon will start with a very loose wash, then she will teach how to paint layers of color. Her method is simple and she will give each student the time and attention to make this painting sing with light and color. A step-by-step instructional process will be used, incorporating Soon Y. Warren's reference photos and drawings for each project. Daily painting demonstrations and critiques will be provided concentrating on technique, the concept of color theory, composition and color values. Cost: $300 MWS price til Sept 30; $330 after; +$30 non-MWS. What could be more inspiring than a plein air painting adventure in the glorious light of Georgia O'Keefe's home in Northern New Mexico? Enjoy five delightful days of painting in the incredible scenery of Ghost Ranch and Abiquiu with master artist John Hulsey this June 10 - 14. John has been organizing and teaching plein air painting workshops in the U.S. and Europe for over thirty-five years, and you will benefit from his knowledgeable, gentle and often humorous teaching style. Let him teach you the secrets of the pros while you gain new mastery of plein air painting. 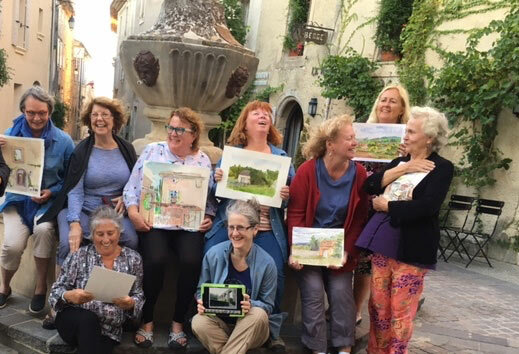 Open Air Italy is in its 13th year of specializing in well-organized artist workshops and retreats with small groups of participants and world-class instruction. All instructors are well-known artists with a gift for teaching. We want the participant to spend their time learning and painting, as well as living and relaxing, in the most beautiful areas of Europe. Much time and effort is given to everything, from the planning of accommodations to the choice of various charming painting locations. All accommodations are single occupancy for artists. Workshops are planned with a focus on multiple group activities, while still allowing time for individual expression and exploration. All instructed workshops are limited to eight participants in order to allow plenty of one-on-one time with the instructor. To learn more about specific workshops or retreats please visit www.openairitaly.com or contact via email at okiegirl54@gmail.com. In this workshop we will use modern materials in a way that I believe the old masters would have used them. My method optimizes speed and realism, using ancient concepts. My process is independent of subject matter. That means you can apply it to still life, portrait, landscape, floral, pet painting, or anything you are working on. All skill levels are invited to this experience. I am limiting the workshop to 12 students, because I want this to be intimate for everyone. I will spend as much time with you as you like. We will be in the very comfortable and well lit back rooms of Seaside Art Gallery, surrounded by the work of master artists. Etruscan Places offers a completely unique series of open air painting workshops on location, rain or shine, in some of Italy's most spectacular landscapes. Artists, curators, writers Maddine Insalaco and Joe Vinson are residents and home owners in both the USA and Italy. Their presence in Tuscany since 1995 guarantees their knowledge of the landscape, inhabitants and local culture and everything connected with it. Presently 4 distinct 1 week classes are offered May - October: Open Air Fundamentals (all levels); Elements of Landscape (intermediate +); Roman Campagna (advanced); Advanced Seminar. Fees include materials and surfaces, equipment, meals, accommodation, field trips and local transport. 12 student max and 2 instructors every class. 40%+ participant return rate. Contact www.landscapepainting.com or call 212-780-3216. Tutors looking for a Residential Art Retreat? A group of art loving friends? This is just for you. "Las Orquideas" the perfect, worry free, location for you to spend your time in an inspiring, relaxing environment, specifically designed for you the artist. Residential art workshops which you control in Valencia, Spain. Complete package offer, including high quality meals with local wines, extremely comfortable, private, en-suite accommodation, fully equipped art studio, trips out, transfers. Dalvaro Art guarantee you a visit you never imagined possible in an art venue. Our warm hospitality and dedicated, experienced professional team will take care of everything, leaving you to tutor and your students to relax, enjoy, be inspired, learn and enjoy the experience of a lifetime. Sandra Duran Wilson is an international workshop tutor, award-winning artist, author of six art technique books, DVD's, online classes and she has written for numerous publications including Acrylic Artist Magazine. She leads workshops in the US, Europe and Australia. Her newest book, Awakening Your Creative Soul, brings spirituality, earth practices and art together as a map for finding passion, purpose and creativity. She will guide you in discovering how to create mixed media art; then how to incorporate your personal vision into the process in order to excavate your authentic voice. She's passionate about sharing her many techniques with creatives of all levels. Her work is driven by curiosity, experimentation and the pure fun of finding out, what if? Join Dawn Davis at the C Gallery on Broadway in Long Beach, CA (April 15-17) or at the Sorrel Sky Gallery in Santa Fe, NM (May 18-19). A signature member of both the New Mexico and Kansas watercolor societies Dawn teaches design concepts and color theory in watercolor along with the fun of using lots of water and many wet into wet techniques. Refinement and sharp edges happen after layers of transparent watercolor, toward the completion of each painting. Inspired by nature, Dawn's many students are always grateful for her sharing, as she holds nothing back, and she is grateful beyond measure for them. All levels welcome. Melissa Harris, internationally published artist, author (99 Keys to a Creative Life) is known for her loose, expressive style. She holds an MFA in Painting and a Fulbright Grant in Painting. With over 30 years teaching experience, Melissa helps you to bring soul into your art. She will help you build a solid foundation including color, composition and paint handling - or help you refine existing skills. Daily demos individual instruction. No previous experience necessary. Experience the beauty of emerald green Ireland or the majestic mesas with their beautiful reds and golds in their best seasons. Meditate and paint plein air at sacred sites to connect with the spirit of the land and encourage your creative visions to emerge. Join Rita July 15-19, 2019 for the Ultimate Summer Art Vacation - an all-inclusive 5-day Art Retreat at The Abbey of the Hills, in the heart of the glacial lakes region of South Dakota. Immerse yourself in the tranquility of this former monastery while stimulating your creativity with a Rita Kirkman Pastel Workshop! The 5-day workshop will give you plenty of time to exercise and improve your pastel abilities (all skill levels welcome) in the classroom, while leaving extra hours to explore the beautiful grounds, paint outside, sketch and take photos, or simply relax! Learn from Rita's 40+ years of experience with pastel. Lots of individual attention given. One price includes the workshop tuition, on-site lodging and daily home-cooked meals! June 24-28, 2019 (Arrive June 23, depart June 29): Improve your command of this most demanding of media with master artist Daud Akhriev. While living in a romantic family villa outside Bergamo, students will improve their technical skills with the water medium, while also refining basic artistic techniques such as observation, composition, line, color temperature and drawing skills. Russian academic schooling begins with six years of watercolor-only instruction, giving Russian artists a powerful grounding in its use and behavior. Instruction will focus on transparent watercolor, using the bare paper for whites. Fee all inclusive. I invite you to draw, learn and celebrate the joy of slow art with me in Central Italy (Tuscany & Umbria), one of the most artistically inspirational places in the world. Learn to "see" more acutely, gain control of the exciting world of color, make your sketchbook your companion and use it as a tool for meditation. Let me share with you the beauty and incredible art history of this cradle of the Renaissance, while we learn to use our sketchbook as a way of life. Diane Cardaci is the author of over 6 art instruction books and has been teaching and sharing her knowledge of the fine art of drawing and painting for over 30 years.